Or at least that's what Phil Falcone said on October 5, 2008 after he made a few billion illegally shorting Wachovia into the ground. So Falcone swung for the fences and sold the 117 million shares. "That was the largest short position I have ever seen on the street," one investor in Falcone's fund told The Post. 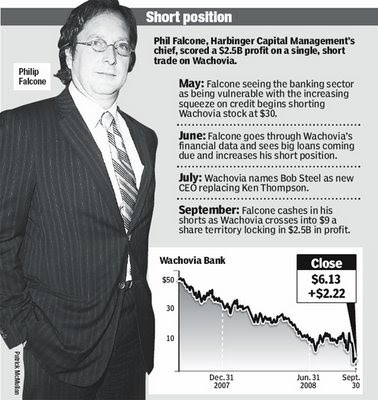 "I am not shy when I see opportunity," Falcone told The Post last week, after being told of the investor's comment. Today we find out the the SEC is finally looking into Harbringer's illegal short of Wachovia. It looks like the SEC is not shy when they see opportunity also! So here's the road map for their prosecution! Courtesy of Wall Street Manna over two years ago! Now I wrote about Harbinger the day before he and Soros and Simons were called up on Capital Hill. Let's look again at the NY Post article about him on October 5, 2008. You even have a nice picture of him! Now the entire short position, as reported by the short interest figures in Wachovia, at the end of April 2008 was only 117.4 million shares. The short interest only increased 3 million shares the next two weeks when he supposedly put on this position. So where were these shorted shares? Why didn't they show up? After all, he only made $2.5 billion dollars on it. Don't you think he would get a decent locate if you were legitimately making $2.5 billion dollars? Let's check his prime broker and see. Whoops! His prime broker was Lehman Brothers! Now if we can't find his shares, that he shorted, on a $2.5 billion dollar trade in the short interest figures, how are we going to find all these smaller trades? Oh, but rest assured, the gumshoes at the SEC are hard at work. During the week of his testimony, the SEC charged some trading firm, with violating the then-existing "uptick" rule by selling stock to depress prices and then buy back the stock. These traders supposedly made $2.4 million. $2.5 billion, versus $2.4 million. What's $2.476 billion between friends? How long do you think it will take, for all these shorts to get bullish, and to unwind some of their bets? And if Cramer and Buffett were taken to task this week, what will happen to these guys who have profited from the same collapse of the institutions that have hurt Main Street? So we get their metamorphis into the good guys. But first, they need to clean up their books. So now you know why the TALF was postponed a few days. 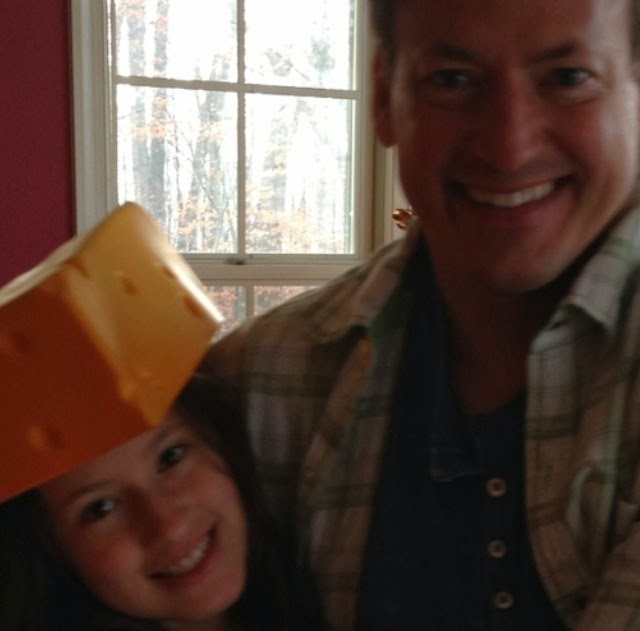 It wasn't that these hedge funds didn't want to buy the Government's merchandise. They just didn't want the Government looking over their books! So now, JPM gets to package the TALF funds, and sell them to the hedge funds, and get the go between fee, so the Fed's don't look at the hedge funds book. And then JPM gets to use it's asymmetrical information advantage with the Fed's blessing! And you still want to believe that these Investment banks won't be able to attract capital at competitive rates without FDIC backing? This week we had Obama, Summers, Pandrit, Dimon and Lewis pumping the economy. Sunday night, Bernanke's coming to 60 Minutes, and he'll be flexing the Fed's muscle to the nation, and giving his version of the pump. And if that doesn't work, the Fed's next step will be to use handcuffs.